Does the thought of making your own granola feel intimidating at all? (raises hand). Just me? Yes? No? 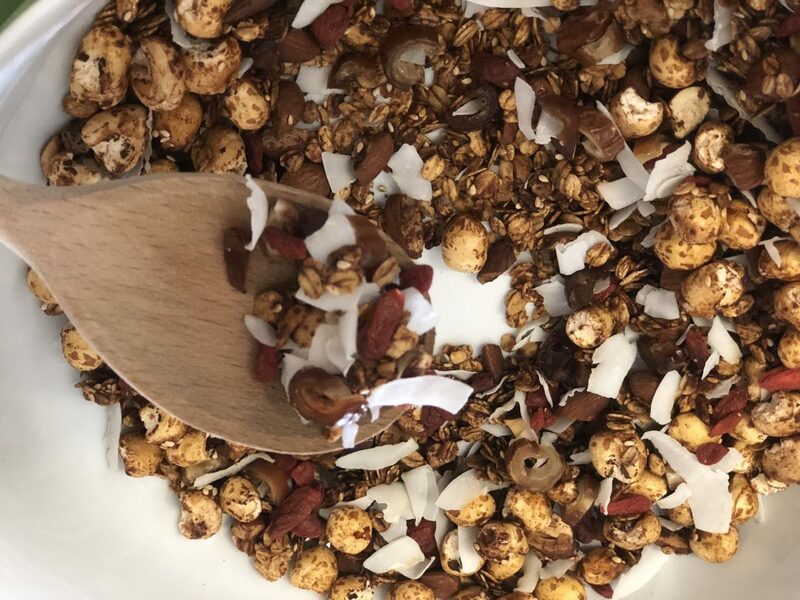 While I am not an avid cereal/granola/muesli eater I love variety, a satisfying crunch, trying new things and feel a deep sense of satisfaction in finding ways to make things I could buy in the store both more affordable and nourishing. 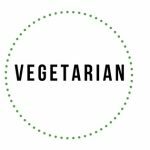 Our current foodscape (food landscape) provides us what seems like endless options, and there are in fact some fantastic people making some just as fantastic products out there. 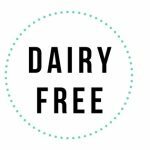 Unfortunately this landscape is also full of additives including preservatives and sweeteners common to packaged items which most of us rely to some extent these days. 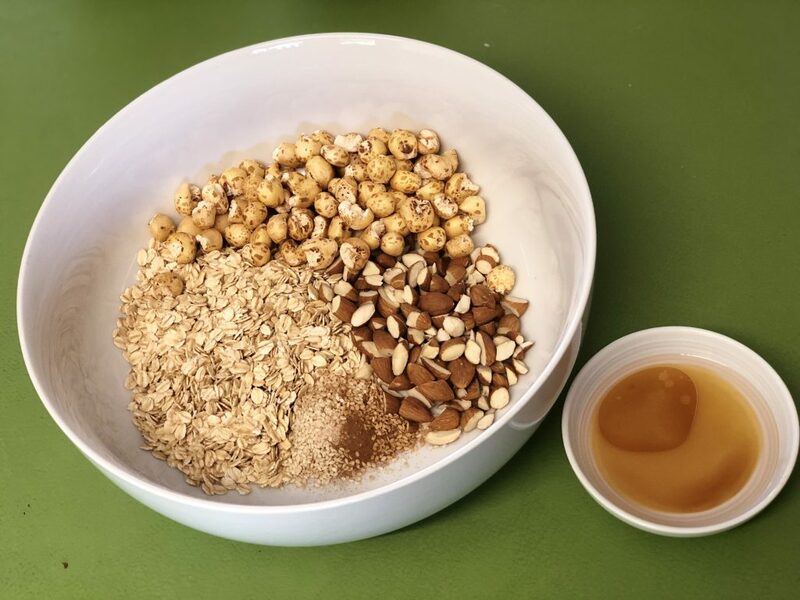 Making your own granola can be a great way to more affordably fuel a granola habit but also allows you to have the insider scoop on exactly what it is you are about to feed yourself or others. I like granola as a garnish. Why? It adds great texture, flavors and color but can fall short of providing all you need for a full, sustaining and satisfying meal. 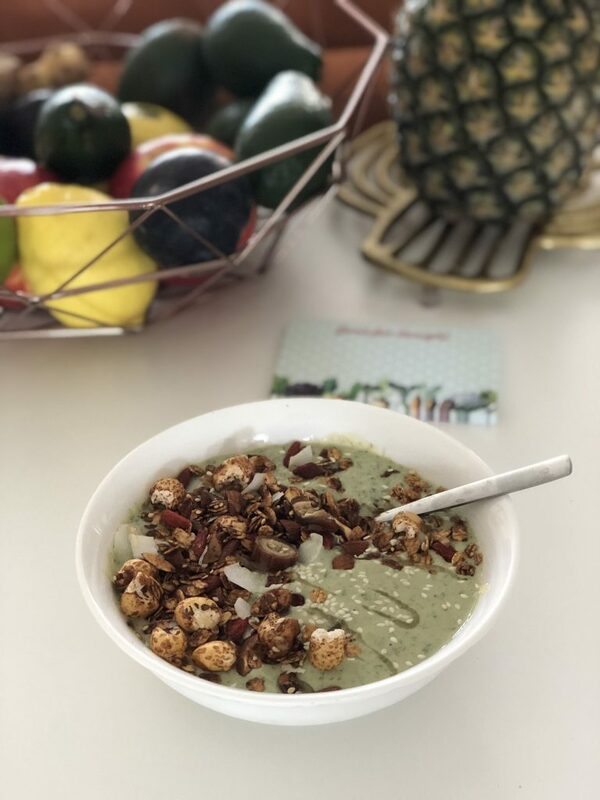 Pair with a green smoothie bowl that has some added protein like a few tablespoons of nut butter (like the one I shared above) or a quality protein powder if that is your jam, sprinkle over a quinoa porridge or chia pudding. How about those Goji berries? 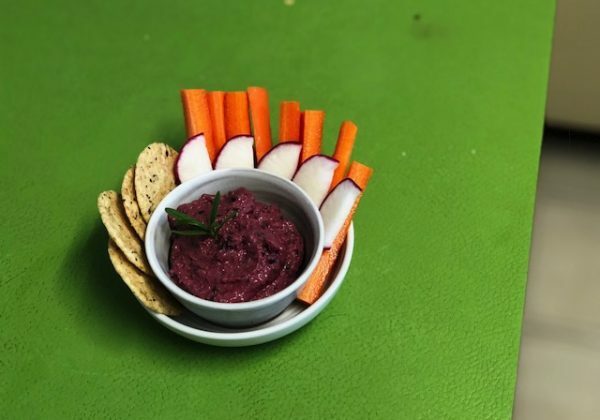 I will admit I was not easily won over (my first experience was with a few solo dried berries) , but their vibrant color and the way they work with the other textures in this recipe is two thumbs up. 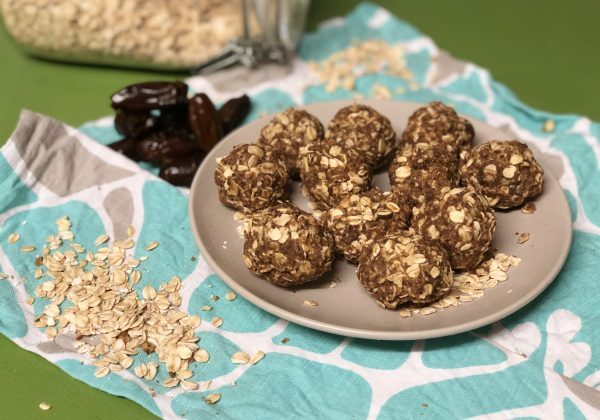 They are also delicious when they have a chance to rehydrate like in an over night oats recipe (perfect oatmeal swap out for hot days and sweaty kitchen temps). Their vibrant color is a give away that there are some nutritional goodies packed inside. Goji berries are an excellent source of vitamin A. For ladies, 1/4 cup (about 2 ounces) actually meets your daily recommended allowance. 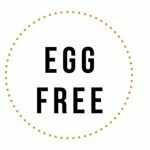 Vitamin A supports reproductive function, immune system, vision and gene expression (our gene instruction manual getting used to actually create things). 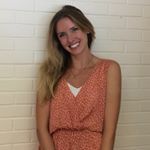 The great news? All this is not just for the ladies. *Dried Goji berries do naturally contain sugar, as does any dried fruit or whole fruit. 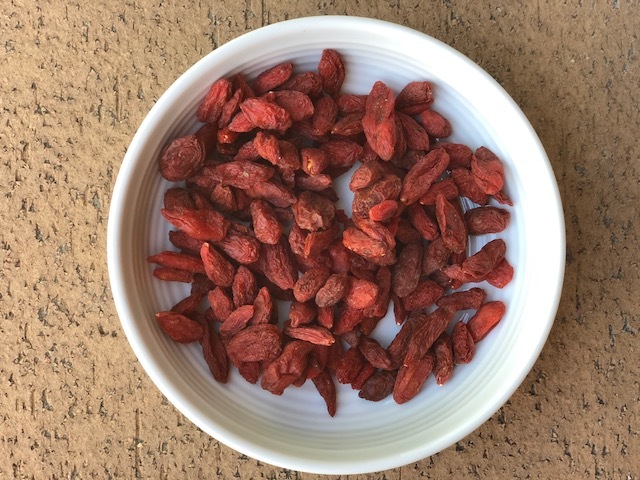 1/4 cup serving of dried Goji berries contains 30 grams of sugar naturally. A touch of honey and sliced dates gives this granola a slightly sweet balance of flavors without being overly sweet. 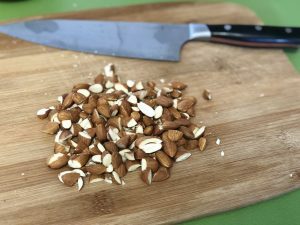 This recipe gives you control to turn the dial up or down on the amount of sugar/sweetness as well easily customize with other swaps (another favorite nut instead of almonds, alternate dried fruit for the dates or a different flavor instead of cinnamon). Preheat oven to 150°C fan forced (about 200°F in a convection oven). 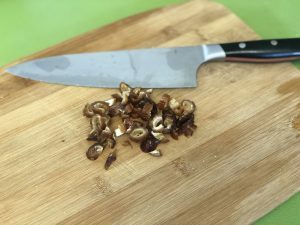 Slice dates into thin rounds and set aside. Roughly chop almonds and set aside. 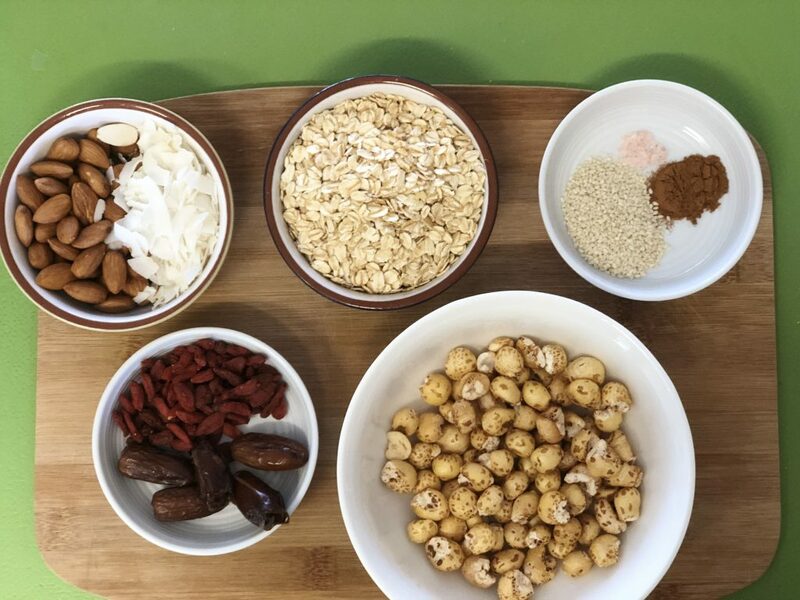 In a medium sized bowl combine all dry ingredients together except the fruit and coconut flakes (“dried fruit” includes dates and Goji berries). Adding these ingredients at the end will prevent them from burning. 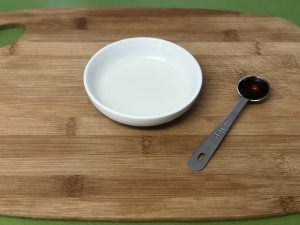 In a small bowl combine all wet ingredients together and mix well. Add wet ingredients to dry mixture and combine until dry mixture is coated. 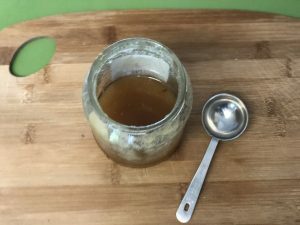 I use my hands to do this to make sure I break up clumps that may form from the honey and incorporate all dry ingredients. 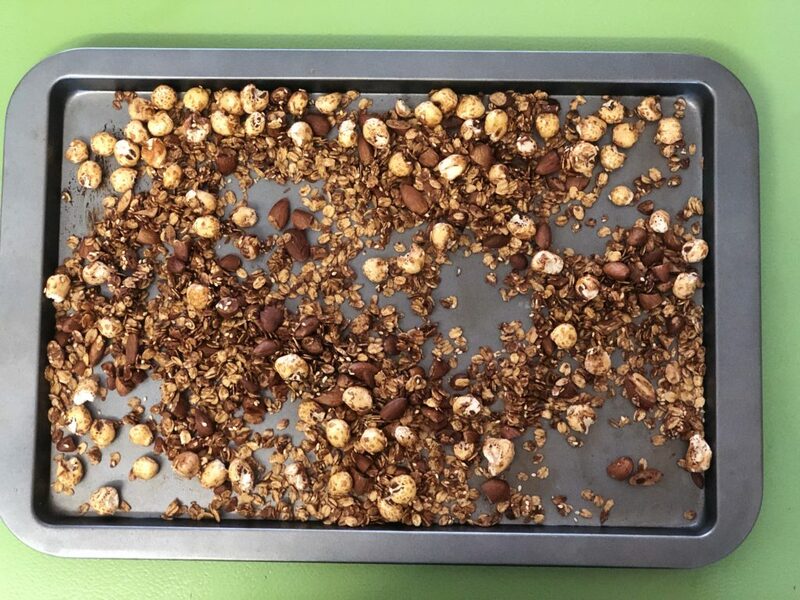 The granola will not be very clumpy or wet once mixed. 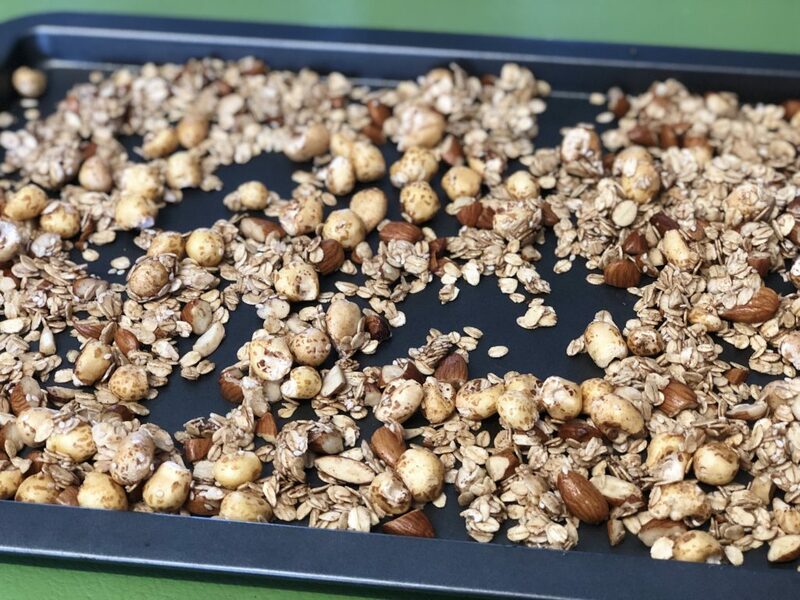 Spread granola out evenly on a baking tray. Place in the oven for ten minutes. Stir and toss granola around well to prevent burning and promote even cooking. Return to oven for another ten minutes. 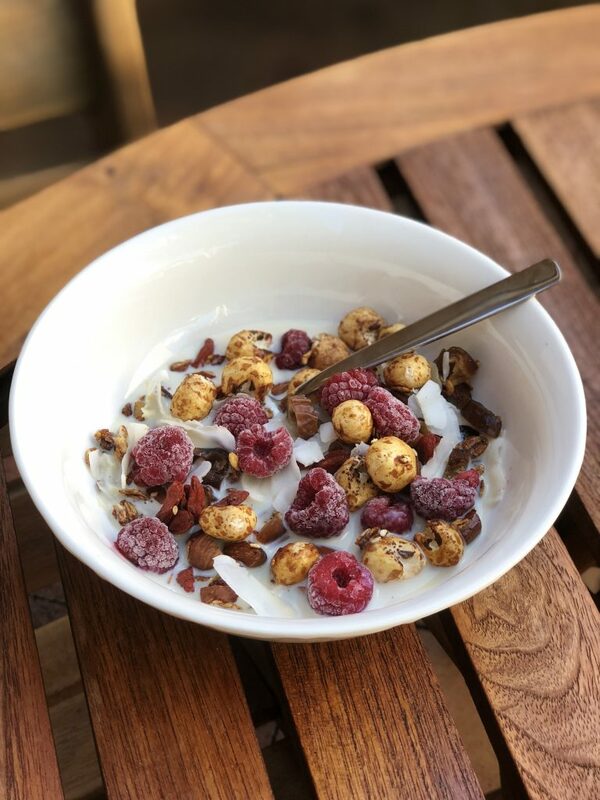 Transfer granola to a bowl and mix in fruit and coconut flakes. Transfer to airtight container for storage and allow to cool. Will keep for around a week if stored properly in airtight container in a cupboard or somewhere else dry. This granola is tasty as is or you can use it any way you would normally enjoy a store bought granola. 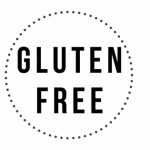 I recommend being sure to pair it with a protein rich food to help balance out your meal or snack and satisfy your hunger better.